Russian President Vladimir Putin is scheduled to arrive to India on Thursday for a two-day visit during which Moscow is expected to ink weapons deal worth billions of dollars. The Kremlin said before the two-day visit by Putin and top Russian ministers that the “key feature” would be the signing of a $5bn deal for the S-400 air defence system, despite the risk of US sanctions against countries buying Russian defence equipment. On the eve of Putin’s arrival later on Thursday, the US poured cold water on India’s efforts to obtain a waiver to avoid sanctions under legislation called Countering America’s Adversaries Through Sanctions Act (CAATSA). “The S-400 is attracting attention due to the US-Trump overhang. With the US’ domestic legislation discouraging countries like India from engaging in ‘significant’ trade with Russia, there is a high-visibility political sub-text about how this deal will impact the India-US bi-lateral,” said Commodore (retired) Uday Bhaskar, Director at Society for Policy Studies. “The US response will be evident by November 5, when both the trade with Russia and the hydrocarbon imports from Iran will come to a tipping point. If the US decides to go ahead with its domestic legislation and invoke penalties/sanctions against Delhi, it would test the resilience of the India-US bi-lateral,” he said. Last month Washington slapped financial sanctionson the Chinese military for buying Russian Sukhoi Su-35 fighter jets and the S-400. But Russia remains number one, and a string of new deals with the Asian giant would be a major win for Moscow – and a big snub to the US. “India has been concerned about a possible two-front war in which it has to face some form of confrontation from Pakistan and China at the same time,” said Pramit Pal Chaudhuri, New Delhi-based foreign policy analyst and Foreign Affairs Editor at Hindustan Times newspaper. “Also India’s Air Force’s strength has weakened owing to acquisition problems. India has been shopping around for sometime now for air-defence systems,” he told Al Jazeera. “The S-400 systems have not been battle-tested but technologically they are quite good, also relatively cheap. So the Russian S-400s are being seen as a good solution. “The deal will also help reassure Russia because India-Russia ties have been fraying at the edges for the past several years,” he added. More than 20 agreements are expected to be signed during Putin’s visit in areas such as defence, space and economy. But military relations would likely be the main focus. India is the world’s biggest arms importer and is undergoing a $100bn upgrade of its ageing hardware, much of it of Soviet vintage including MiG jets that have frequently crashed in the Indian countryside. 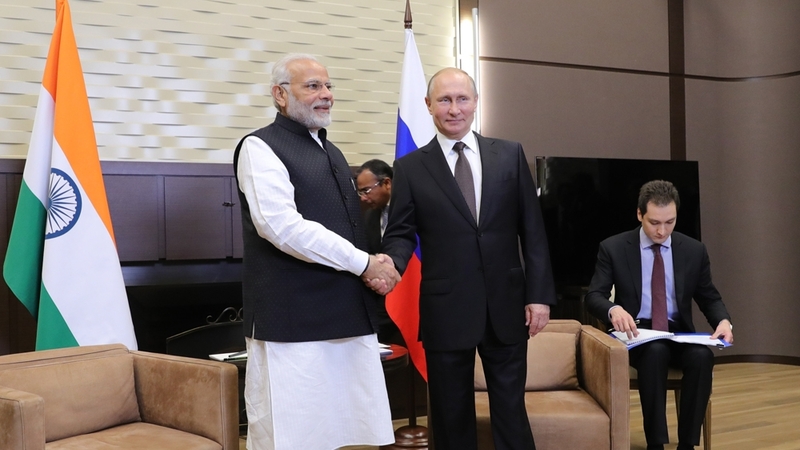 Annual Russia-India trade has slipped below $10bn since 2014, as Modi cultivated closer diplomatic and economic ties with Washington, while Russia has courted Pakistan and China.